Home / 2015 / charity / concert / donation / flood / fundraising / live music / music for life / news / victims / Let’s raise funds with Music For Life! 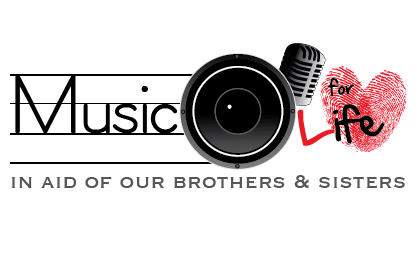 Let’s raise funds with Music For Life! 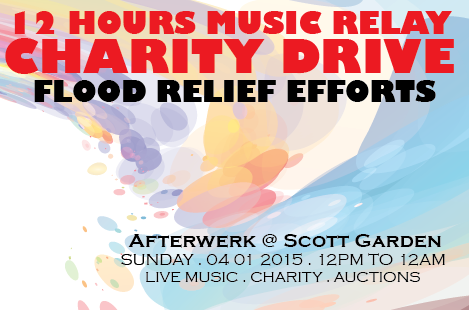 A music charity event aimed to help the victims of the recent flood disasters will be held at Afterwerk, The Scott Garden located at Old Klang road this Sunday, 4 January 2015, from 12pm to 12am, hosted is hosted by Afterwerk and The Event Guys. This will be an open event for everyone to participate in order to aid those in need. There will be food and beverages sold at the event and the money will be channelled to the flood victims. Of course, donations in the form of dry groceries are accepted as well. For more information of the event, visit Music For Life Malaysia’s official Facebook page.